The article reviews the book “Irkutsk in Illustrated Open Letters” by S. Medvedev and V. Kurenkov. This edition is compared to the previous one (1996). The article features the catalogues, text content and the quality of printing. The article places emphasis on consistent consideration of the postcards and its significance for the historical and regional studies, deltiology and architectural restoration. TKACHEVA, Marina. From the Flying Carpet to the Time Machine. 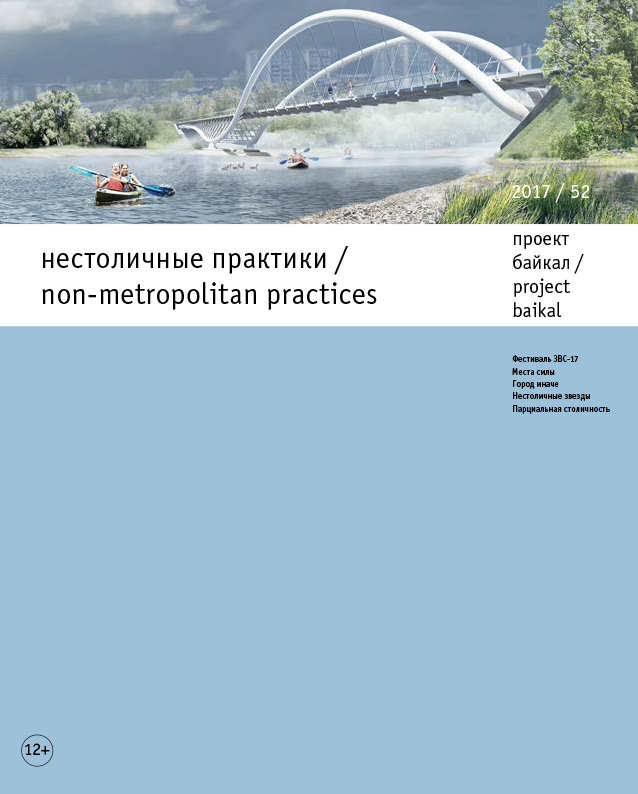 project baikal, Russian Federation, n. 52, p. 12-12, june 2017. ISSN 2309-3072. Available at: <http://projectbaikal.com/index.php/pb/article/view/1154>. Date accessed: 22 apr. 2019. doi: https://doi.org/10.7480/projectbaikal.52.1154.